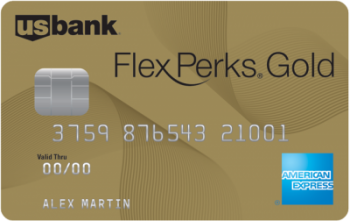 U.S. Bank just released their new U.S. Bank FlexPerks® Gold American Express® Card which replaces the previous version of their FlexPerks Amex card. Overall the card is a super solid option and offers a valuable 30,000 FlexPoints sign-up bonus worth up to $600, strong 2X and 3X bonus earning categories, and some great travel benefits. 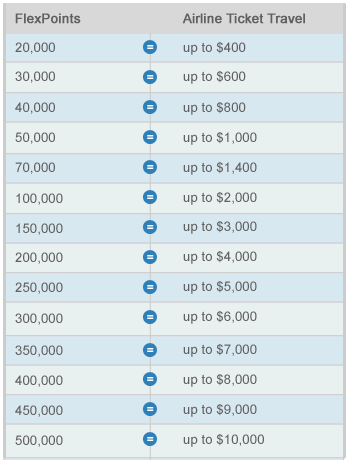 30,000 FlexPoint sign-up bonus (worth up to $600). Automatic National Car Rental Emerald Club status – 25% off National car rentals, 1 free car rental per year. Annual fee: $85, not waived the 1st year. The new card is offering a 30,000 FlexPoint sign-up bonus after spending $2,000 within the first four months. The 30,000 FlexPoints are marketed as having a value of $600 towards when redeemed towards award tickets. FlexPerks can be redeemed for airfare, statement credits, and gift cards. You’ll get the most value from FlexPerks points when you redeem them for airline award tickets. It’s possible to get a maximum value of 2¢ per point, but it’s first important to understand how the redemption system works (see below). The card offers a strong rewards earning structure of 3X points at restaurants, 2X points on flights and gas stations, and 1X point on everything else. The 3X and 2X bonus categories could be incredibly valuable for anyone who spends a lot in these categories. Given that you can get a maximum redemption value of 2¢ per FlexPerks point it’s possible to earn close to ~6% back at restaurants and ~4% back on airfare and gas stations. If you spend a large amount annually in these bonus categorizes and are willing to maximize your points redemption this card could be am incredible valuable card option. The U.S. Bank FlexPerks Gold Card offers some valuable travel perks that can easily help offset the $85 annual fee. $25 airline allowance. With every award ticket book with FlexPerks points you get a $25 airline allowance good towards baggage fees, in-flight food and more. The allowance covers incidental charges that post to your account under the airline carrier providing your award travel flight between the dates of your award travel flight. To redeem the $25 airline allowance you need to call 866.311.5550 to request a statement credit within 90 days of a “Qualified Purchase”. A statement credit will post to your account within 4 to 6 weeks for the amount of the purchase (up to $25). National Car Rental Emerald Club status. As a cardholder you’ll get automatic National Car Rental Emerald Club status, which gives 25% off National car rentals, car rental upgrades, and 1 free car rental day per year. The free rental day requires a Saturday overnight and a 28-day maximum rental applies. Andrew Harper Travel Club membership. 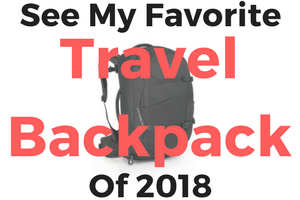 You’ll get a complimentary membership to Andrew Harper Travel Club membership which offers discounts and benefits at select hotels around the world. This appears to be a private travel benefit membership that can best described as a quasi-elite status. Some benefits include a complimentary night on multiple night bookings, hotel food and spa credits, guaranteed room upgrades, and discounted rates. To activate the free travel club membership Cardmembers must enroll and provide their name, address, email and FlexPoint ID. TSA PreCheck or Global Entry fee credit. You’ll get a statement credit reimbursement when you apply for TSA PreCheck ($85) or Global Entry ($100). The statement credit reimbursement will be automatically applied towards whichever program you apply to first and charge the purchase with your card. 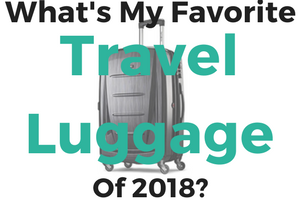 The card does have a $85 annual fee that is not waived the first year, however if you can maximize the card’s travel benefits and 3X and 2X rewards earning structure it may be worth it. The card does not have foreign transaction fees which makes it a good card option for international travel and as far as I can tell the 3X and 2X bonus categories do not have limitations of only U.S. restaurants and gas stations. The fact that you can earn points on bonus category spending outside the U.S. makes this a strong card option for international travel. What Are US Bank FlexPoints? U.S. Bank FlexPerks credit cards earn FlexPoints which can be redeemed for airline tickets, hotels and card rentals, merchandise, statement credits, gift cards, and to cover the annual fee. Depending on how you redeem FlexPerks points you will get a value per point from 1¢ per point (gift cards, merchandise) to 2¢ per point (airfare). Unlike other bank-points such as Chase’s Ultimate Rewards and Amex’s Membership Rewards these cannot be transferred directly to airline and hotel travel partners. As mentioned above, the highest value use of FlexPerk points is to redeem on paid airline tickets. This also gives amazing flexibility since you can purchase any flight you want and redeem points to cover it. 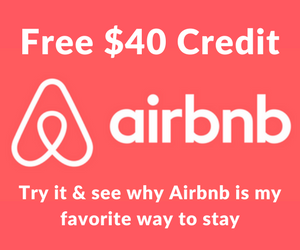 For instance, with 20,000 FlexPerk points you can get a free flight up to $400, thus each point is worth 2.0 cents each. However, it’s important to understand that redemption are only allowed at incremental levels. You have a lot of freedom when using FlexPerk points to book an award ticket since U.S. Bank allows you to redeem FlexPoints on over 150 Airlines. How Much Are FlexPoints Worth? Lower value limit: 1¢ per point when you redeem for gift cards/merchandise/statement credits. Maximum value limit: 2¢ per point when you redeem for airfare. When FlexPerk points are redeemed for statement credits gift cards, and merchandise you’ll only get 1¢ in value per point. You will get much more value when you redeem FlexPoints for paid airline tickets in the form of an FlexPerks award ticket. 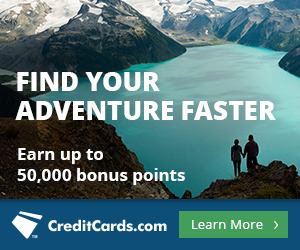 Each point is worth up to 2¢ a piece when redeeming 20,000 points or more. Another additional benefit is that you earn airline miles for flying on the flights you redeemed FlexPerk points to pay for. U.S. Bank breaks down FlexPoints redemptions into ticket price categories and you will get the highest value is when you redeem FlexPoints at the maximum allowed in each category. It will cost 20,000 FlexPerk points for an airline ticket up to $400 in value, which means you will pay same 20,000 points for an airline ticket that costs $100 – $400. This means to get as close to the maximum 2¢ per point value you’ll need to purchase tickets at the upper threshold of each redemption level (flights that cost $399, $599, $799, and so on following the redemption chart). For most FlexPerk points may be most useful for purchasing airline tickets in situations that you cannot use traditional airline miles to book a flight, such as during peak travel seasons and last minute travel. Remember that to maximize the benefits offered by U.S. Bank FlexPerks Gold Card you’ll want to use the $25 statement credit to cover checked bags, in-flight purchases, etc when you booking airfare using FlexPerk points. Apart from that another added benefit of using FlexPerk points is that you will earn airline miles on these flights! The newly released U.S. Bank FlexPerks Gold Card is now offering a 30,000 FlexPoints that are worth up to $600 in free flights! With the card you get some valuable travel benefits include a $25 airline allowance on every award booked and up to $100 fee credit when you apply for Global Entry or TSA PreCheck. The bonus category spending of 3X points at restaurants and 2X points at gas stations could be incredibly valuable if you are a big spender in these categories. Occy, glad you found it useful and hopefully I covered everything necessary!